An open meeting where members complete their bluebooking assignments and can ask questions of 2Ls and 3Ls. 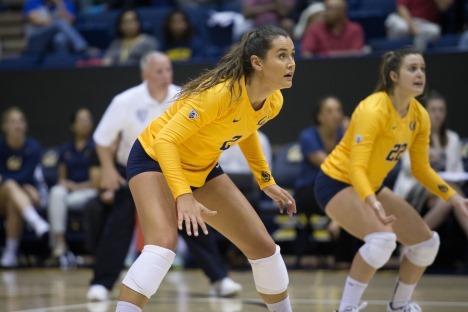 Cal Volleyball hosts Oregon State in conference action at Haas Pavilion. 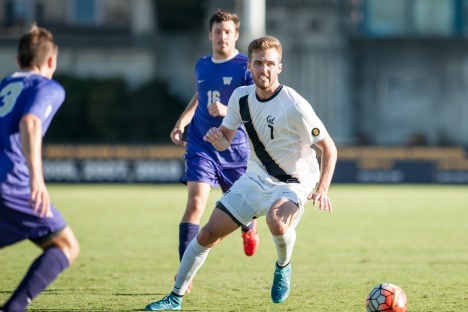 Cal Men's Soccer hosts UCLA in conference action at Edwards Stadium. Sergei Eisensteins classic on revolution and rebellion, told almost entirely through riveting images, can be appreciated for not only the perfection of its form, but the humanitarianism and enthusiasm that impregnated its revolutionary subject (Georges Sadoul). Shot primarily from a helicopter, Petropolis offers an unparalleled view of the scopeand environmental impactof the mining of Canadas tar sands, the worlds largest industrial, capital, and energy project. With Jed Mettlers Balifilm. Maggie Cheung plays herself as an actress suffering through ego battles and other disasters on a French indie film shoot. With short Man Yuk: A Portrait of Maggie Cheung. 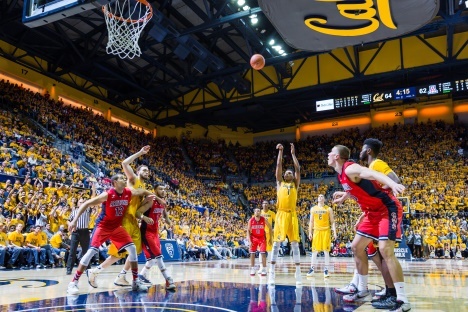 Cal Men's Basketball hosts Great Falls - Exhibition at Haas Pavilion. The goal of this workshop is to link local and regional case studies of food, agriculture, and human-environmental interaction with the broader discussion of global environmental issues and long-term sustainability. Special emphasis is on case studies from Japan, East Asia and the North Pacific Rim. Seismic isolation has been used effectively over the past three decades to protect contents of structures. This presentation discusses seismic isolation of equipment using a multi-directional spring, which provides much better damping and self-centering capability. We will present the recent paper of Charlesworth and Shlyakhtenko in which it is shown that if an $n$-tuple of operators has free entropy dimension $n$, then every selfadjoint polynomial in these operators has an atomless spectral measure. We discuss regularity results for the cylindrical contact homology of 3-dimensional prequantization bundles and explain how they are compatible with Morse-Bott computational methods. We will also explore applications to quantitative questions in dynamics, such as the refined Conley Conjecture, as previously anticipated by Ginzburg-Gürel-Macarini. Architect, researcher, and Berkeley faculty member M. Paz Gutierrez will speak as part of Design Field Notes, a pop-up series that brings a design practitioner to a Jacobs Hall teaching studio to share ideas, projects, and practices. During World War II, workers from across Latin America and the Caribbean traveled to the Panama Canal to work on defense construction projects for the U.St. When they arrived, they encountered a binary system of segregation. that did not accord with their racial constructs and identities. This talk will consider how race, nation and segregation divided Allies engaged in a purported war for democracy. Grant Faulkner, executive director of National Novel Writing Month, will discuss his new book, Pep Talks for Writers, and how writers must dive in, banish their inner editors, and take creative risks by writing with abandon. Come ready to write with abandon! Speak Swahili with your fellow Swahili students and enthusiasts over a drink at Blue Door Cafe (check for location updates). Each person will support their own beverage purchases, but we will provide the good company! And of course, Swahili speaking only! All skill and experience levels are welcome. Karibuni sana! Speaker/Performer: Michael Rock, 2x4 Inc. In celebration of Dark Matter Day, the Department of Nuclear Engineering presents The Artist Odyssey, and Director Chris Fessenden's film "New Stellar Order," a documentary about science artist and illustrator Melissa Walter. Attendance restrictions: A Cal ID is required to enter Moffitt Library. We will discuss a new interpretation of the Fukaya-Seidel category mirror to a compact toric variety and several applications of the construction. In particular, we will see how a natural monodromy of these categories is mirror to tensoring by a line bundle. The Rank Conjecture of Buchsbaum-Eisenbud and Horrocks says roughly that the Koszul complex is the "smallest" possible resolution. In this talk, I'll discuss this conjecture and several stronger and weaker incarnations of it. After surveying what is known, I'll describe some recent work with Jimmy Seiner for monomial ideals. In Partnership with the UC Berkeley Office of Resources for International and Area Studies (ORIAS), the OUSD ELLMA office invites you to learn more about the historical context impacting migration from Central America, its connection to US policy, and the complex, intersectional identities of students from the Northern Triangle countries of Guatemala, El Salvador, and Honduras. Registration info: Registration opens November 1. Register online or by calling Shane Carter at 5102895962, or by emailing Shane Carter at orias@berkeley.edu by November 7. A talk by anthropologist and scholar of queer activism and animal rights in India Dr. Naisargi N. Dave. Accepting resumes for full-time and internship positions. We continue the journey of Ananyan and Hochster's resolution of Stillman's Question. After a brief review of the main theorems, we dive right into the technical details. Our goal will be to build necessary tools to prove the main theorems, in particular to make precise the statement that small collapse is equivalent to small codimension of singular locus. This is a Haas class, anyone who is not enrolled but wants to attend the class is welcome to join but will be asked to leave if we run out of seating capacity in the room (due to fire code). LEED (Leadership in Energy and Environmental Design) is a green-rating point system to certify a buildings sustainability. Just as Buildings can be LEED certified, students and professionals can become LEED Accredited themselves. (More information regarding course registration to come). Join us for an expert panel with an interdisciplinary discussion on Maternal Health, Infectious Disease, and Climate Change from across the UC System. They will also be discussing opportunities and careers in Global Health.